The laser diode modules offered by Opt Lasers produce laser light in the following colors: red, green, blue. These products offer different beam powers. You have the option of buying a diode module with a ready kit including PSU and laser driver. Like most of our products, diode modules can be adapted to your individual preferences. 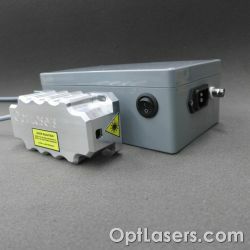 1000 mW green laser module with a wavelength of 520 nm. SM Series uses multimode laser diodes of leading manufacturers which allows achieving high power and its stability, as well as the reliability of the modules. 4000 mW blue laser module with a wavelength of 445 nm. CM Series has been additionally fitted with anamorphic optics which reduce beam divergence so as to increase its visibility and reduce the dot size at large distances. 4000 mW blue laser module with a wavelength of 445 nm. SM Series uses multimode laser diodes of leading manufacturers which allows achieving high power and its stability, as well as the reliability of the modules. 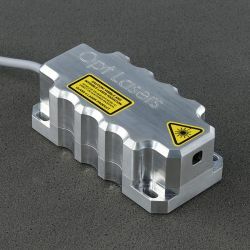 700 mW red laser module with a wavelength of 638 nm. SM Series uses multi-mode laser diodes of leading manufacturers which allows achieving high power and its stability, as well as the reliability of the modules. 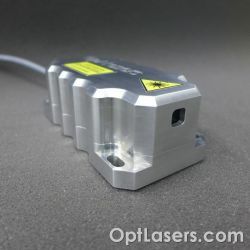 80 mW green laser module with a wavelength of 520 nm. SM Series uses multimode laser diodes of leading manufacturers which allows achieving high power and its stability, as well as the reliability of the modules.